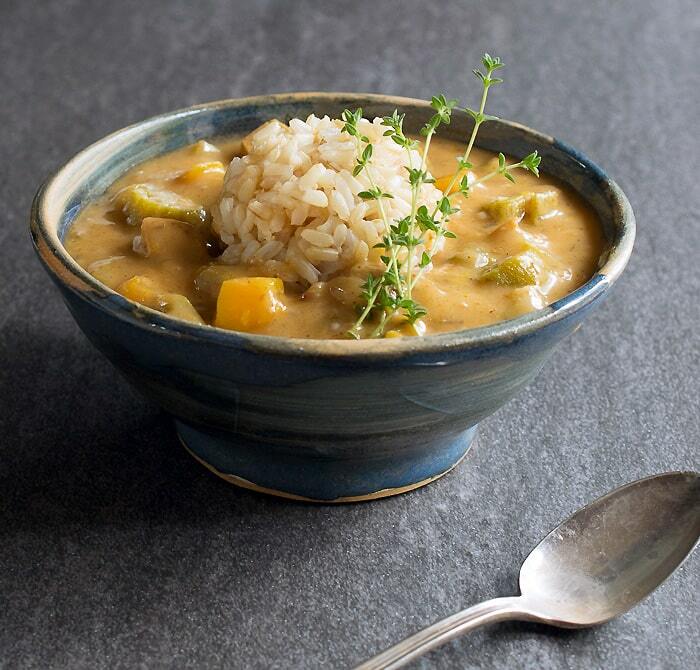 Home » Vegan Menu Plan » Vegan Menu Plan for Any Kind of Weather! 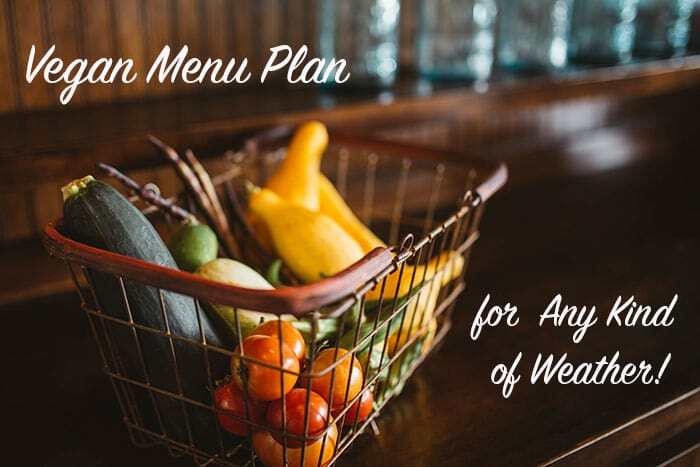 Vegan Menu Plan for Any Kind of Weather! 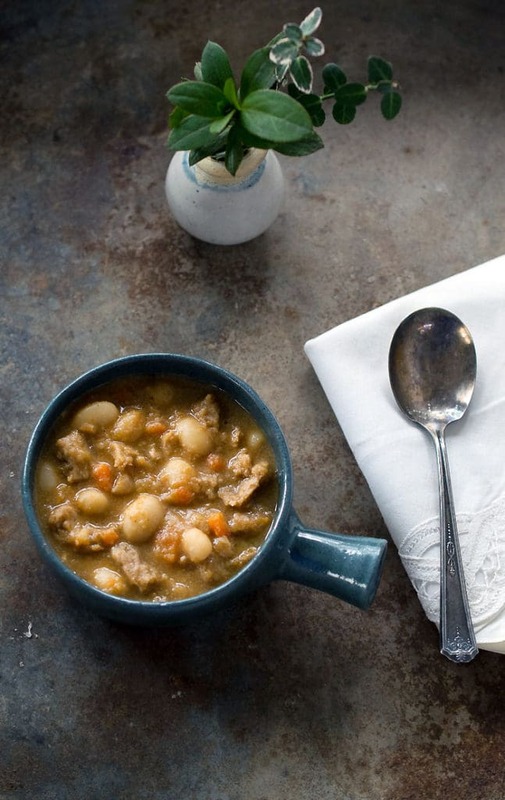 The weather may be unpredictable, but don’t let that stop you from meal planning. This week there’s a mix of foods that should be fun to come home to if it’s hot or cold. Plus there’s air fried beignets with no added oil, my favorite butternut squash gumbo, and a blueberry buckle that you can make with fresh or frozen blueberries! 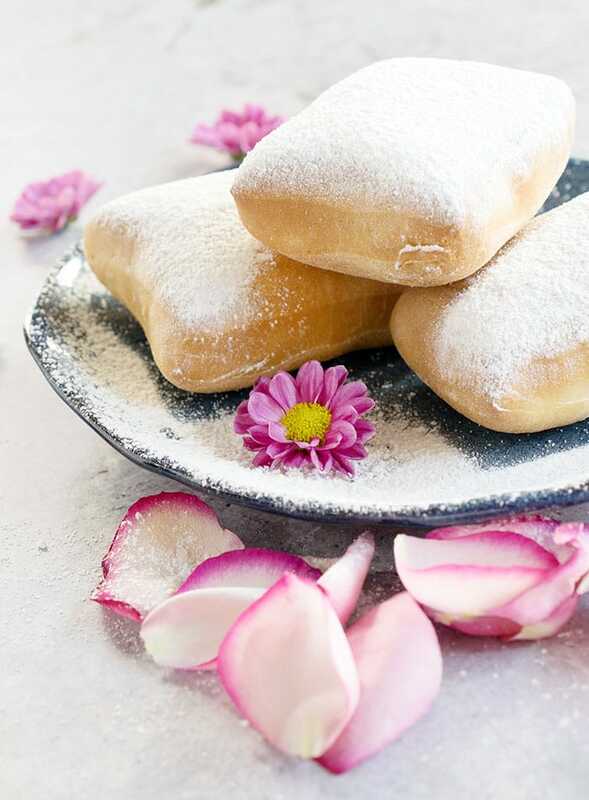 Breakfast: Air Fried Vegan Beignets (with an option to cook them in the oven) have a pillowy texture, are rich from the coconut milk and have half the sugar of regular beignets. I have 2 air fryers that I like the Go Wise and the XL Philips. , in less time than it takes to drive to pick something up! 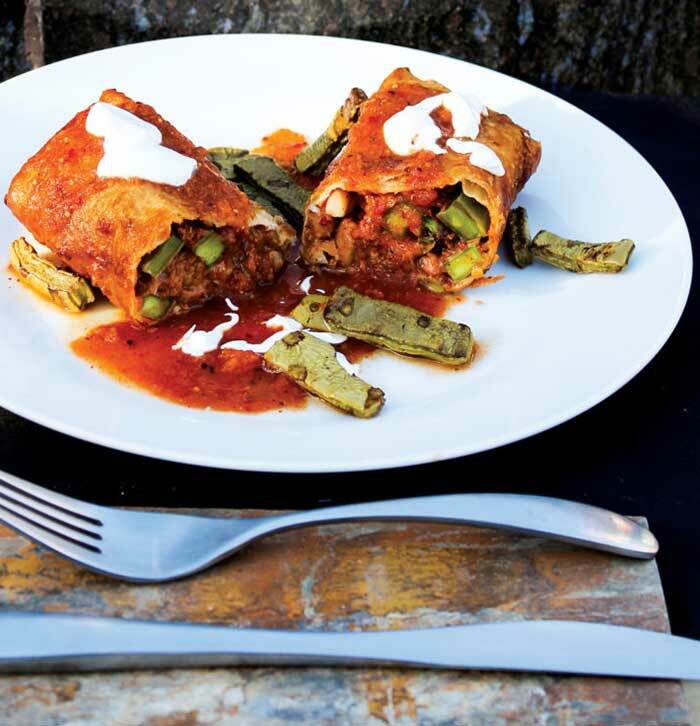 Wednesday: These fun to eat Northern Mexico Chimichangas from Vegan Mexico, are perfect to satisfy your Mexican food cravings! Make your own refried beans right in your slow cooker and go ahead and whip up a batch of Vegan Queso with Cauliflower as a side in your Instant Pot. If you have an air fryer, try spritzing them with oil and cooking them there. Thursday: Feeling too tired to cook dinner? 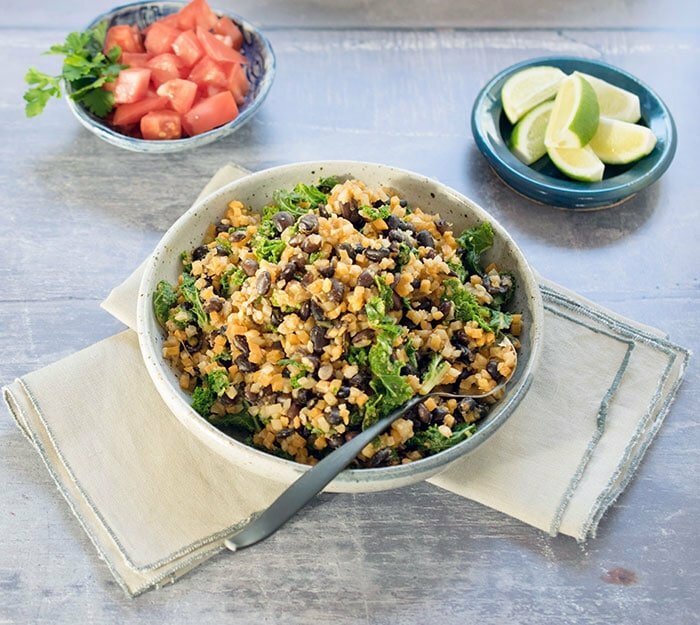 This Quick and Easy Weeknight Vegan Skillet with Cauliflower Rice, Black Beans & Kale comes together fast and takes almost no effort. 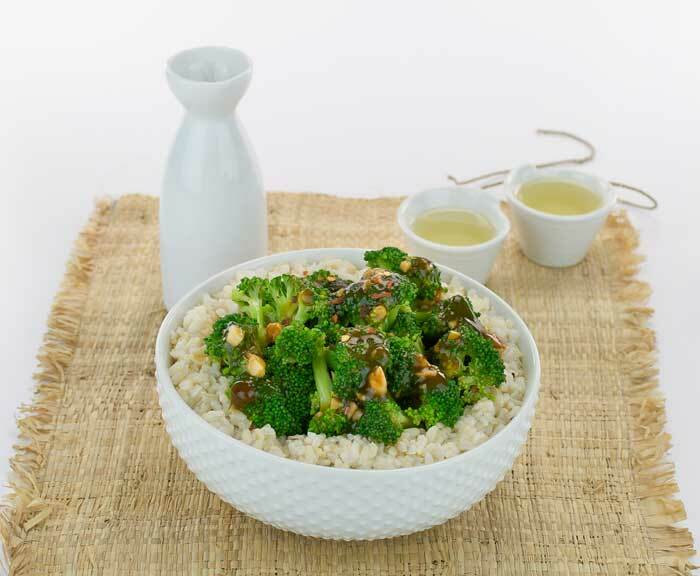 Tip: Always have a bag or two of cauliflower rice in your freezer for nights you can’t even think about cooking real rice. Friday: Vegan White Bean Soy Curl Chili cooks in your Instant Pot and is full of white beans, carrots, and soy curls. My local stores don’t carry soy curls so I buy them 6 packs at a time from Amazon.com. 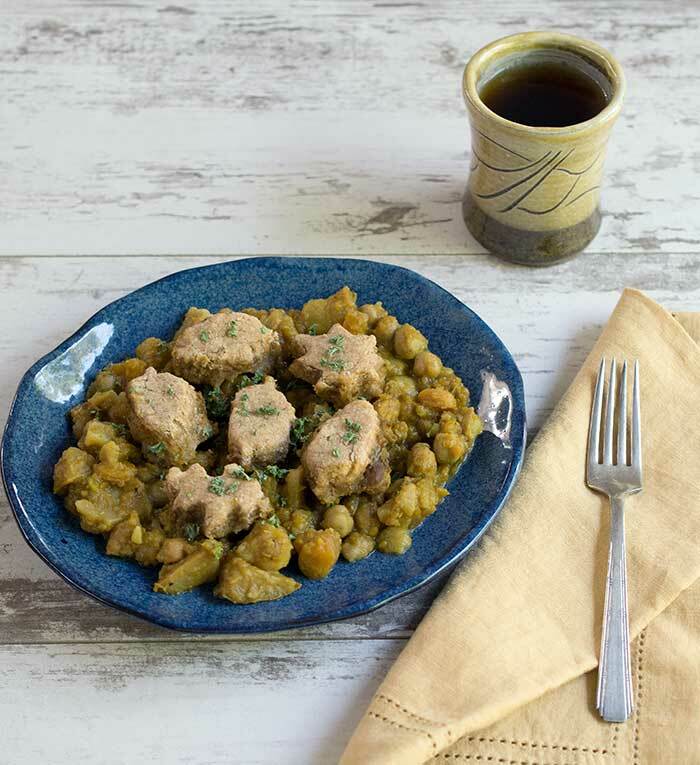 Saturday: My Vegan Slow Cooker Curry Pot Pie Topped with Whole Wheat Biscuits is a one pot meal perfect for a weekend dinner. It’s hands off so you can enjoy the day while it cooks. This recipe is for a 4 quart slow cooker, but the new Hamilton Beach Right Size Slow Cooker uses one crock, but can cook recipes that call for a 2, 4, or 6 quart slow cooker! I’ve been testing it all week and I’m really falling in love with it. 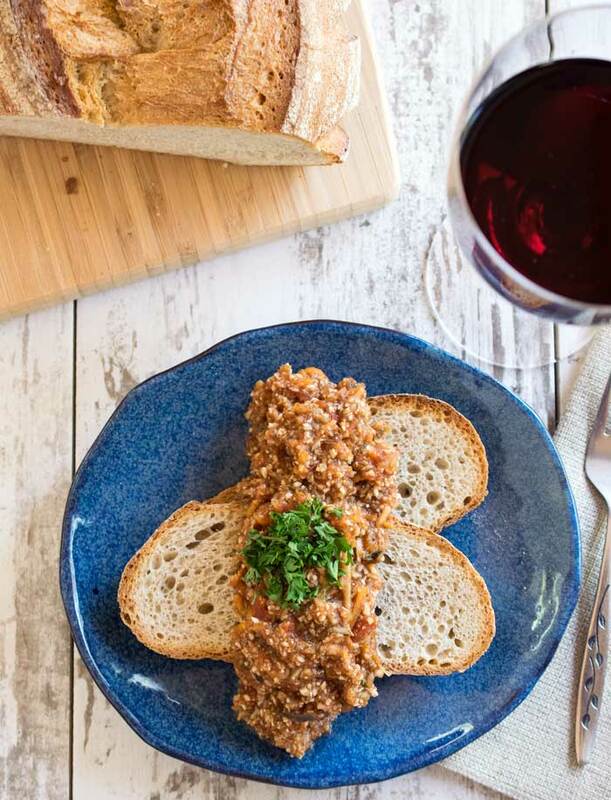 Sunday: You’ll be surprised just how many veggies you can get in your family in one meal with my Vegan Instant Pot Lots O’ Veggies Bolognese recipe! Freeze the leftovers in lunches portions or another dinner next week. This is just another example of cauliflower magic! 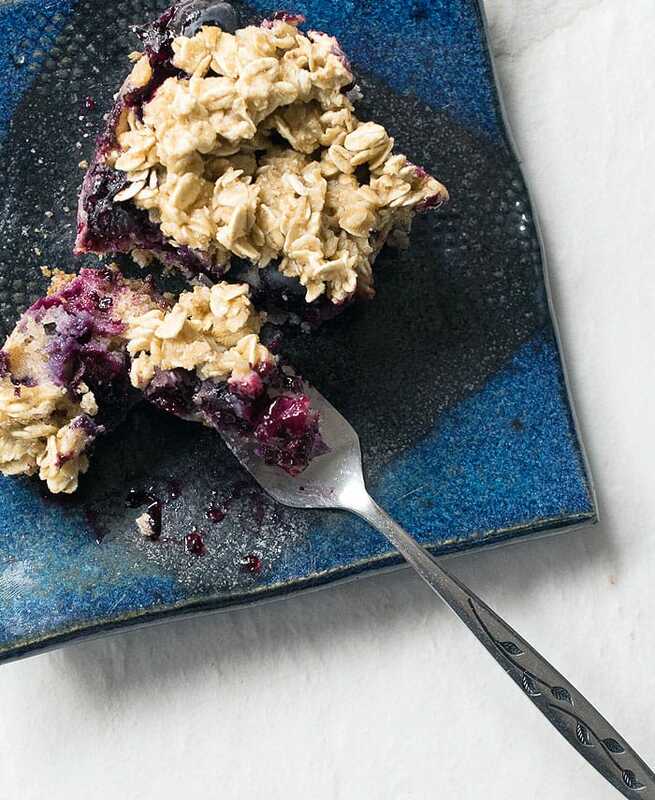 Dessert: Vegan Blueberry Buckle is a fun dessert to make and eat on all week long. Remember you can use this with any frozen berries you happen to have in the freezer. Soo many of these recipes look great. I will by trying them soon. Thanks! This recipe looks awesome!!! 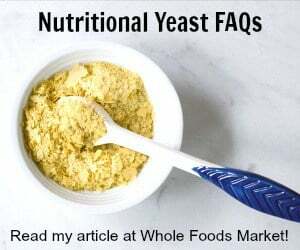 Since I don’t use grain flour, do you think almond or coconut flour would work well as a substitute? Thanks!